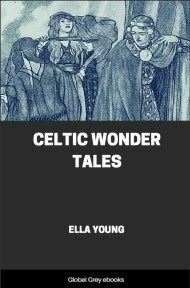 Subjects include: Environment; Taking Of Evidence; An Anthropological Examination Of The Evidence; The Recorded Fairy Faith; People Of The Goddess Dana; Brythonic Divinities And The Brythonic Fairy-Faith; Celtic Otherworld; The Celtic Doctrine Of Rebirth; The Cult Of Gods, Spirits Fairies, And The Dead; The Testimony Of Archaeology; The Testimony Of Paganism; The Testimony Of Christianity; Science And Fairies; The Celtic Doctrine Of Re-Birth And Otherworld Scientifically Examined. THERE is probably no other place in Celtic lands more congenial, or more inspiring for the writing down of one's deeper intuitions about the Fairy-Faith, than Carnac, under the shadow of the pagan tumulus and mount of the sacred fire, now dedicated by triumphant Christianity to the Archangel Michael. The very name of Carnac is significant; and in two continents, Africa and Europe--to follow the certain evidence of archaeology alone --there seem to have been no greater centres for ancient religion than Karnak in Egypt and Carnac in Brittany. On the banks of the Nile the Children of Isis and Osiris erected temples as perfect as human art can make them; on the shores of the Morbihan the mighty men who were, as it seems, the teachers of our own Celtic forefathers, erected temples of unhewn stone. The wonderful temples in Yucatan, the temple-caves of prehistoric India, Stonehenge in England, the Parthenon, the Acropolis, St. Peter's at Rome, Westminster Abbey, or Notre-Dame, and the Pyramids and temples of Egypt, equally with the Alignements of Carnac, each in their own way record more or less perfectly man's attempt to express materially what be feels spiritually. Perfected art can beautify and make more attractive to the eye and mind, but it cannot enhance in any degree the innate spiritual ideals which men in all ages have held; and thus it is that we read amid the rough stone menhirs and dolmens in Brittany, as amid the polished granite monoliths and magnificent temples in Egypt, the same silent message from the past to the present, from the dead to the living. 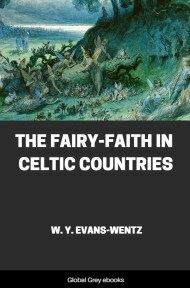 This message, we think, is fundamentally important in understanding the Celtic Fairy-Faith; for in our opinion the belief in fairies has the same origin as all religions and mythologies. And there seems never to have been an uncivilized tribe, a race, or nation of civilized men who have not had some form of belief in an unseen world, peopled by unseen beings. In religions, mythologies, and the Fairy-Faith, too, we behold the attempts which have been made by different peoples in different ages to explain in terms of human experience this unseen world, its inhabitants, its laws, and man's relation to it. 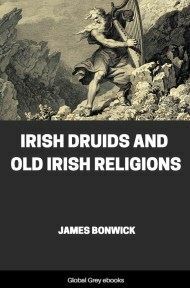 The Ancients called its inhabitants gods, genii, daemons, and shades; Christianity knows them as angels, saints, demons, and souls of the dead; to tin-civilized tribes they are gods, demons, and spirits of ancestors; and the Celts think of them as gods, and as fairies of many kinds. 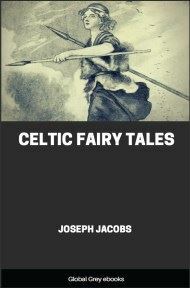 By the Celtic Fairy-Faith we mean that specialized form of belief in a spiritual realm inhabited by spiritual beings which has existed from prehistoric times until now in Ireland, Scotland, Isle of Man, Wales, Cornwall, Brittany, or other parts of the ancient empire of the Celts. In studying this belief, we are concerned directly with living Celtic folk-traditions, and with past Celtic folk-traditions as recorded in literature. And if fairies actually exist as invisible beings or intelligences, and our investigations lead us to the tentative hypothesis that they do, they are natural and not supernatural, for nothing which exists can be supernatural; and, therefore, it is our duty to examine the Celtic Fairy Races just as we examine any fact in the visible realm wherein we now live, whether it be a fact of chemistry, of physics, or of biology. However, as we proceed to make such an examination, we shall have to remember constantly that there is a new set of ideas to work with, entirely different from what we find in natural sciences, and often no adequate vocabulary based on common human experiences. An American who has travelled in Asia and an Englishman who has travelled in Australia may meet in Paris and exchange travelling experiences with mutual understanding, because both. of them have experienced travel; and they will have an adequate vocabulary to describe each experience, because most men have also experienced travel. But a saint who has known the spiritual condition called ecstasy cannot explain ecstasy to a man who has never known it, and if he should try to do so would discover at once that no modern language is suitable for the purpose. His experience is rare and not universal, and men have developed no complete vocabulary to describe experiences not common to the majority of mankind, and this is especially true of psychical experiences. 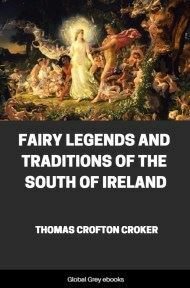 It is the same in dealing with fairies, as these are hypothetically conceived, for only a few men and women can assert that they have seen fairies, and hence there is no adequate vocabulary to describe fairies. Among the Ancients, who dealt so largely with psychical sciences, there seems to have been a common language which could be used to explain the invisible world and its inhabitants; but we of this age have not yet developed such a language. Consequently, men who deny human immortality, as well as men with religious faith who have not through personal psychical experiences transformed that faith into a fact, nowadays when they happen to read what Plato, Iamblichus, or any of the Neo-Platonists have written, or even what moderns have written in attempting to explain psychic facts, call it all mysticism. And to the great majority of Europeans and Americans, mysticism is a most convenient noun, applicable to anything which may seem reasonable yet wholly untranslatable in terms of their own individual experience; and mysticism usually means something quite the reverse of scientific simply because we have by usage unwisely limited the meaning of the word science to a knowledge of things material and visible, whereas it really means a knowing or a knowledge of everything which exists. We have tried to deal with the rare psychical experiences of Irish, Scotch, Manx, Welsh, or Breton seers, and psychics generally, in the dearest language possible; but if now and then we are charged with being mystical, this is our defence.